A couple of weeks ago I answered a Skype call from a fella I've listened to for 4 or 5 years, but never talked to, Grant Markham. Grant has been a part of a few shows I listen to, some still releasing episodes, some not. At the beginning of this year he decided to start a new show about getting to know people he'd never met before - The Stranger Conversations. Since I love podcasting (aka talking), and I've enjoyed listening to Grant for years, and connected with him on a few social media sites, I got in touch and asked to be on his show. The result was 2 hours and a bit of an amazing recorded conversation, and an extra 40 minutes or so of chatting afterward. This is what I love about podcasting, and social media. Because I have listened to Grant for years, because I have followed his tweets and photos, because he has responded to and commented on my own tweets and photos, I already know that this is a person I like. So getting to talk in real time over Skype is not uncomfortable in the least. Our conversation was not different from any other conversation I've had with a local friend over coffee in the last few months. 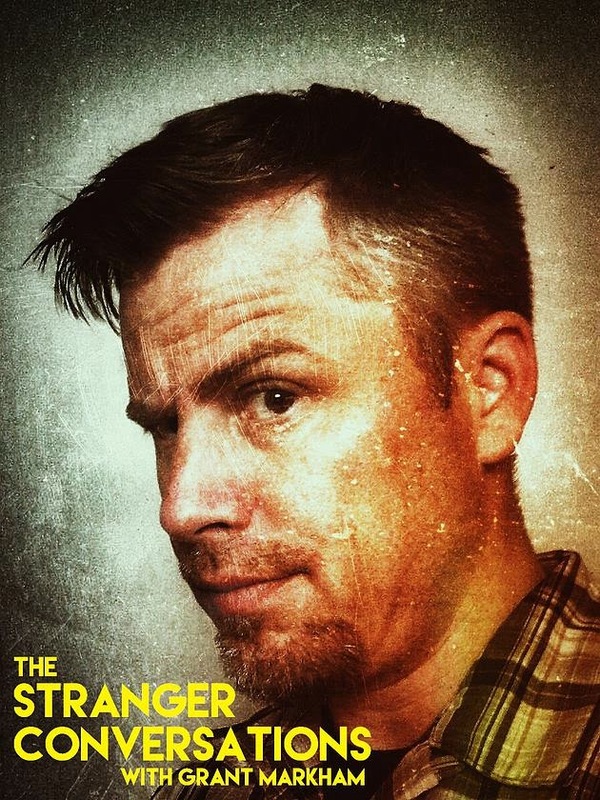 Grant decided to title his show The Stranger Conversations, but in reality (at least our episode) it is more like The Old Friends Reconnecting Conversation. It's a little long, but if you have enjoyed the episodes of 100% Candice I've been releasing, you will really enjoy this open, honest, warm conversation I had with Grant. And I hope you'll agree with me that conversation is about give and take and it's okay that Grant shares his thoughts and experiences with my while I share mine with him. This is not The Stranger Interviews, it's The Stranger Conversations and I think it's fair to say that after listening to our conversation we have all become a closer and are no longer strangers to each other.